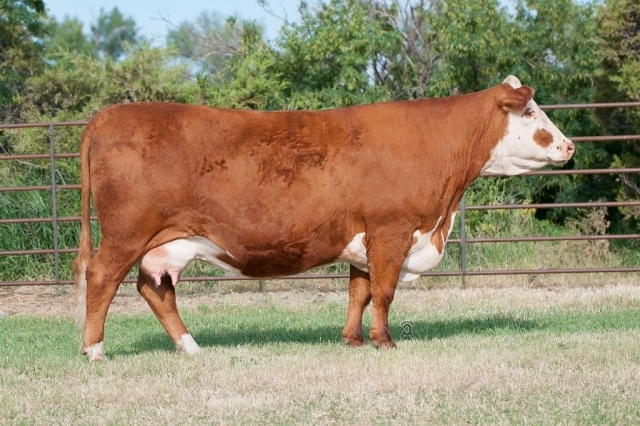 1188Y is a full blood sister to the $102,000 1098Y herd sire. She is extra well marked, deep ribbed, stout made, and still fancy fronted. This top donor is out of one of the best cow families ever produced at our ranch. Great combination of curve bending numbers, cow power, and phenotype. Look for a powerhouse set of sons by 5110C and 14097 in our 2019 sale.